In 1968 I stayed in Mlilwane with my children during the Swaziland independance célébrations setting up our tent with two rhino strolling past. The rhinos are no longer there, but the free atmosphere to be able to walk seeing the animals and birds close at hand is still there. Not to be missed. The location doesn't get any better! In the middle of a national park, with animals just behind the fence. Very good price for such set up. The staff is not very friendly, though. The dinner they offer (for an extra fee) is rather small and not very tasty. Better to stock up on food as there are hardly any other alternatives. Such a lovely place to stay, but the address guided us to a private gate we weren't allowed to use. That made our arrival complicated. Furthermore, the roads to the backpackers are the last 20 minutes not teered and not easy accessable without a suv. We just had a polo. Despite of that, the kitchen facilities were kind of broken or didn't fit on the stove. The pool was not clean and they didn't clean it during our stay there. Nevertheleyy, the nature was very beautiful. 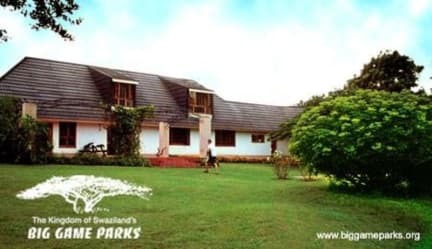 The hostel is located in the middle of a wonderful national park (be careful, it is hardly accessible). The staff is helpful. We slept in a double room, very clean and with access to all the facilities. You must buy your own food before coming because there is almost nothing to buy at the hostel (egg, milk, beer, that's all). We booked a visit in a traditional village inside the park, which was great. It’s a great place to stay, but if you can go with a car: better. No connection, the staff is mostly good, but some people are completely unprepared to attend. Very dirty. The kitchen facility was so bad.